This recipe is for My Chicken Lasagne. There are some days when only a lasgane will do, and why not? Layers of chicken ragu sauce, creamy white sauce, sheets of pasta, all topped with bubbling melted cheese - perfect for a windy autumn's day! First, to make the chicken sauce, peel and finely chop five medium carrots. Slice a large green bell pepper into small chunks. Peel and crush two garlic cloves. Peel and thinly slice one medium onion. Heat a few tablespoons of olive oil in a saucepan. Throw in the sliced onions and the crushed garlic. Cook on medium heat until the onions have softened. Next, put in about two pounds of chicken mince. You could also do this exact recipe but use lamb mince. Stir fry the chicken until it becomes slightly browned. Then, throw in the sliced carrots and peppers. Add one teaspoon dried oregano. Pour in 1/2 pint vegetable stock. Squeeze in about one tablespoon tomato puree. Next, I used a medium sized jar of Dolmio Lasagne Sauce. If you don't have this, then just add a tin of tomatoes. Pour in the lasagne sauce. Simmer for 30 minutes on a low heat. After 30 minutes, taste for seasoning and adjust if needed. Finally, take a few leaves of fresh basil. Tear the basil leaves, and add to the sauce. Stir to combine, and the sauce is now ready! To make the Bechamel sauce (white sauce), melt two tablespoons butter in a saucepan. Once the butter has melted, add two tablespoons plain flour. Cook the butter and flour on a low to medium heat, stirring constantly for about two minutes. Next, take 1 and 1/2 pints warmed whole milk. Slowly add all the warm milk, stirring constantly on a medium heat, until the sauce thickens. Add 1/4 teaspoon ground nutmeg. This is completely optional - I have discovered this article recently so I do not use nutmeg in my cooking anymore. Stir to combine, and the white sauce is done. Next, take 8 lasagne sheets. I pre-cooked the lasagne sheets but you don't have to. Now, it's time to layer the lasagne! Take a large oven dish, and spread a layer of the chicken sauce ..
.. and top with grated cheese. Cover with foil and bake in a preheated oven at Gas Mark 5 for 20 minutes until golden brown and the cheese is melted. Uncover towards the end to let the top brown. Or, brown under a hot grill. Allow to cool slightly before digging in! Enjoy!! This looks so good, especially the sauces. Where do you find the time to blog so much? I'm always too busy through the college season. Anyway I read some time back that nutmeg is haraam? Nutmeg is halal but in small amounts. Nutmeg is intoxicating and so is haram. And you can eat nutmeg but only of it comes in the form of food or drink which does not intoxicate. However a Muslim can not purchase nutmeg as an ingredient as that is haram! How you learn so many type of food ? If you are learning first from internet is it gives everytime good result when u cook? Lol me too! Hope you give it a go! Salaam sister, is it possible to buy the white sauce u made from shopping stores or do u have to make it? Wasalaam! You can buy it from the shops but be sure to check the ingredients. Sometimes it may have wine in it. Do u have to use nutmeg? What about a pinch of dried herbs? Or just leave that out completely? Hi I can't get chicken mince anywhere could I just use chicken pieces?? Hello! Yes you can use chicken pieces but you could also use lamb mince or beef mince. I'm about to make it for my wife for Valentine's Day. InshAllah it will turn out well! 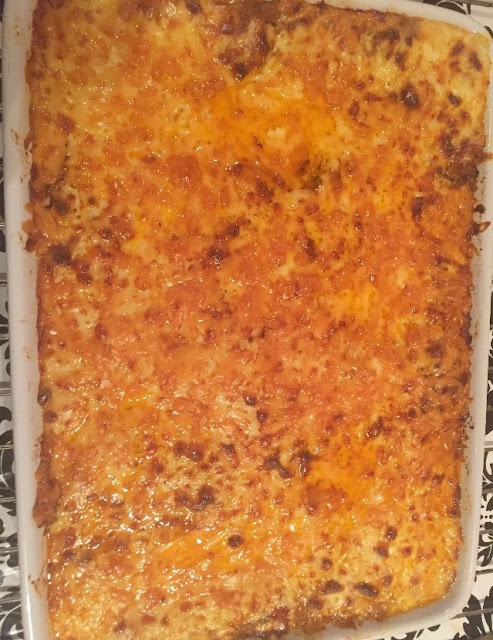 Hi I have made the recipe a few times and my family love the taste however I can never get the lasagne to stick it's always runny, I've even made the meat really dry but still no joy. Any suggestions how I can get it stick? We have a fan assisted oven I don't know if that makes a difference. Hi, I made this and it turned out lovely ! Thankyou for sharing your recipe. Only thing was, some of the lasagne sheets were hard in the corners and edges. Any tips to prevent this ? Thank you Shazia! One tip is to bake it covered with foil (which I'm sorry, but I forgot to write in the recipe) and then uncover towards the end to let the top brown. Second, if you feel the edges are still hard, press them down with the back of a spoon until they are covered in sauce. The sheets go hard when they are not covered properly with sauce. Good luck! Jazakillah khair for your kind words Safiyyah! I'm really glad you like my blog and that it has helped you. How much salt, pepper, chilli powder, oregano are you putting in? Really enjoy making the recipes that you have posted..May Allah reward you. I cab't wait to try your recipe out! It looks delicious! Just one question how do you cook the lasagne sheets? Can you confirm that the dolmio sauses are halal ? Was advised by the shop assistance at co op, it was not suitable for vegans. I'm not sure about why the sauces are not suitable for vegans. This is an old recipe so the sauce was definitely halal then. Just be sure to check your jar label. Salams can I try your recipe without the veg stock and basil? I have all the ingredients at home except then 2! Hi, did you wash your mince before? Really glad you enjoyed the lasagne so much! In my opinion, you cannot beat a bubbling pan of it on a cold Spring day! Thank you so much for your kind words - I am so glad that my recipes have been a help to you. Let me know if you have any Pakistani recipe requests. How many people does your recipe serve, please? Can you tell me how i could half this recipe? or even in 3? is it possible to follow this recipe and just leave the chicken out? You can cut this recipe in half or even quarters. Just halve or quarter all the ingredients but add salt and red chilli, to taste. You may also leave the chicken out, if you prefer. Hi which cheese can I use?? Any will do. I like a mixture of both Cheddar and Mozzarella. You can cook it for less time, if you wish. So glad you enjoyed the lasagne! Thank you for all your kind words! Yes, I will try to post one as soon as I can. Asak Sister.. I tried this recipe today and its super dooper hit !!. All your instructions were perfect. Jazakallah khairan. Wa alaikumus salaam! So glad you enjoyed the lasagne! Salaam, i wanted to ask that if i use beef mince , then should i buy the beef stock ? You can if you want to, but it's not necessary. Any stock will do. You can use any other stock or even water. Made it a second time today as the first time was a hit! I love how easy the recipe is to follow! JazakAllah khair for the lovely recipe! What cheese is used as topping.? Mozzarella or cheddar? I like a mixture of both but feel free to use either. Could this dish be made without the white sauce or would that make it dry without it? It could but then it would just be a pasta bake. I prefer it with the white sauce. Hi first of all i like all your recipes. Especially when i tried making some of them my family loved it, although the credit goes to you by creating them with the masterpiece talent you have. Mashallah!!! Although i got stuck in the chicken lasagna recipe with the baking method. What is the preheat temperature for the induction stove? Thank you for all your kind words! Not too sure about the exact temperature but a medium heat would do until the lasagne is crispy on top and the cheese has melted. Yes, I did - in the white sauce. I prefer white pepper to black in my white sauce.